For decades the argument has persisted. 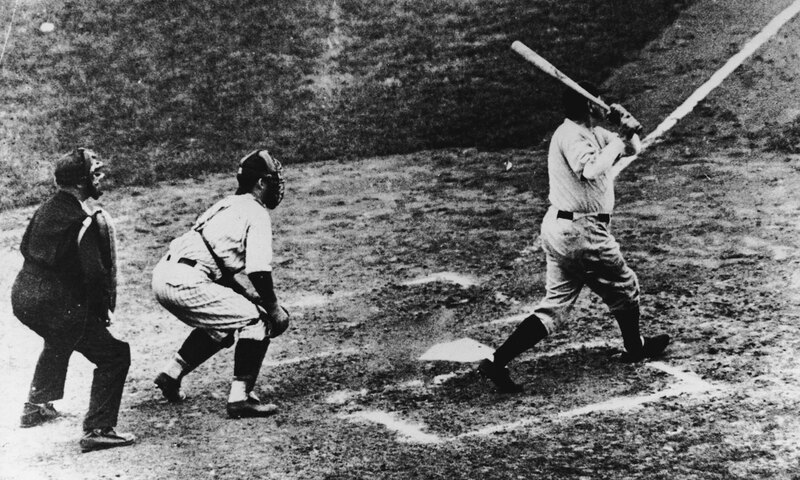 Did Babe Ruth call his home run shot or did he not at Wrigley Field in Game 3 of the Yankees' 1932 World Series sweep of the Cubs? As Cubs bench jockeys jeered him, Ruth clearly waved one, then two fingers to signify his strike count against pitcher Charlie Root. Before pitch No. 3 rocketed off his bat and over the flagpole in center, the Babe appeared to wave toward the pole. He discussed this years later with Chicago sportswriter John P. Carmichael. "Nobody but a blankety-blank fool woulda done what I did that day," Ruth said. "What an idiot I'd a been if I struck out. I didn't exactly point to any spot like the flagpole. I just sort of waved at the whole fence. That was foolish enough. I wanted to give it a ride — anywhere — out of the park." In attendance were at least 15 future Baseball Hall of Famers, sportswriters Grantland Rice and Westbrook Pegler, tap dancer Bill "Bojangles" Robinson, Chicago Mayor Anton Cermak and New York Gov. Franklin Roosevelt, who was just a month away from being elected president. Two not-yet-famous people said they were there too: John Paul Stevens, then age 12 and later a U.S. Supreme Court justice, and Ray Kroc, then a 29-year-old paper cup salesman and later head of McDonald's.